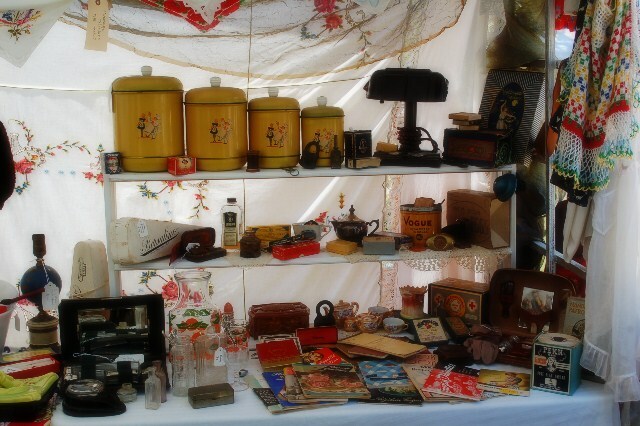 Home » Uncategorized » Back from The Vintage Marketplace- with Photos! Hi! 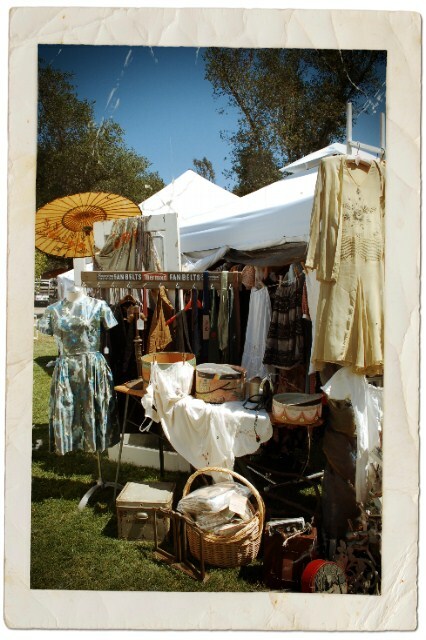 We’re back from The Vintage Marketplace! My husband and I attended this show for the first time as vendors, and we had an absolutely wonderful time. We met many wonderful, talented, and nice people! We’re looking forward to being at the next show September 7th & 8th! 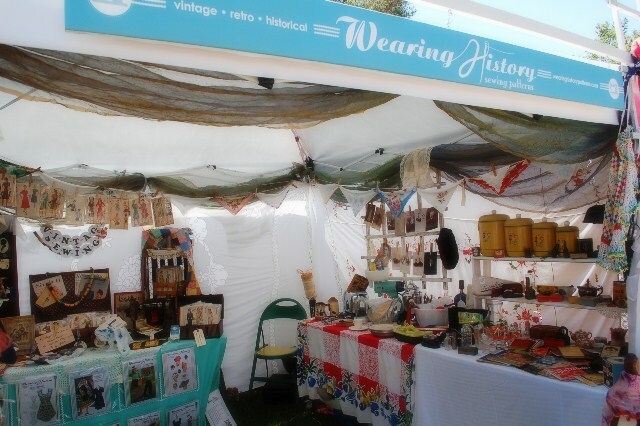 This show is located in Fallbrook/Rainbow, California, and is a shabby chic, decorator, antique, vintage, and handcraft artisan show with 40+ vendors from California and other states who bring their creativity both in their product and booth setup. It’s like being transported to a magic little world of creativity for the afternoon, and is in a lovely rustic spot in a small town with a local farm stand, gas station, and yummy restaurant all in the same little vicinity. Here’s some of my photos of our booth setup! 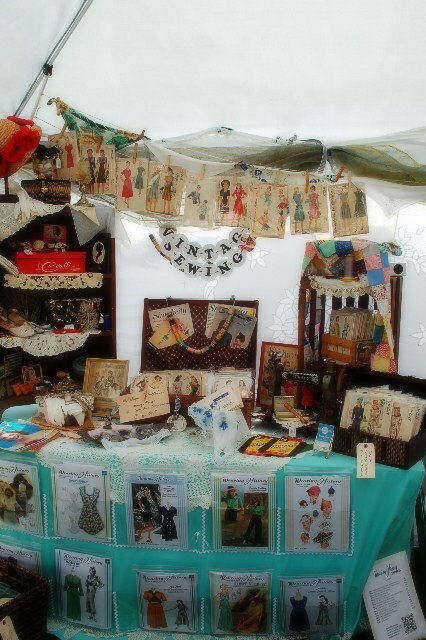 Coming up in another post I’d love to share snapshots of some of the other vendor’s booths and products. 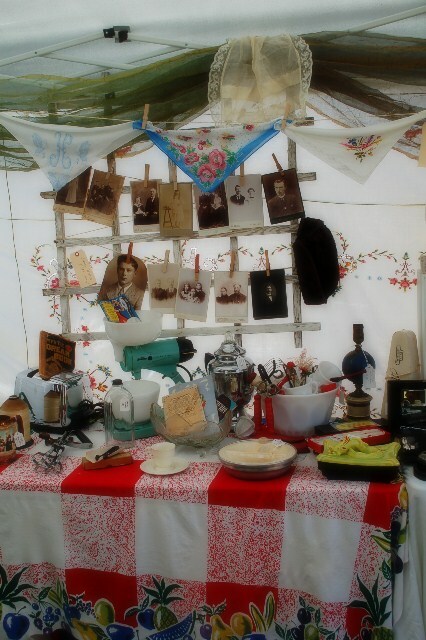 I’ve got the photos already posted up on Facebook, so sneak on over there to my photo album of The Vintage Marketplace June Show and have a peek! Thanks so much to everyone who came out! We’ll see you at the next show September 7th and 8th! 1 Comment on Back from The Vintage Marketplace- with Photos! I wish I could have come to this event! So many wonderful things in your booth! !